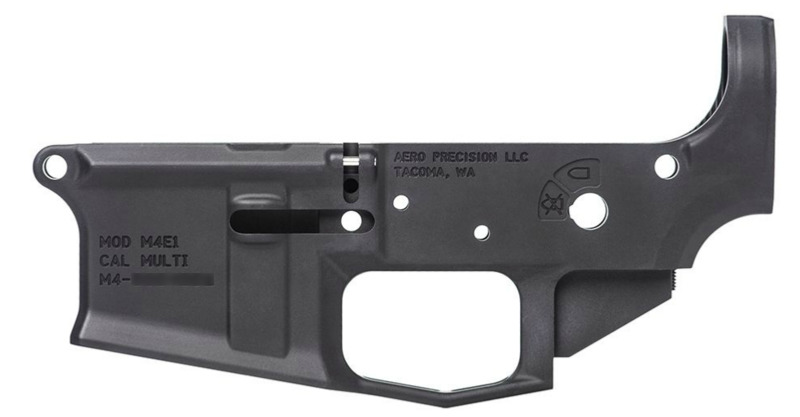 Aero Precision USA M4E1 Lower Receiver delivers billet aesthetics in a forged package. This custom designed enhanced forging is machined from 7075-T6 Aluminum and compatible with all mil-spec AR15 parts. Aside from the visual upgrades this custom engineered design provides that challenge much more expensive billet options, we have added several functional features to the lower receiver to simplify the assembly process for the at home builder. 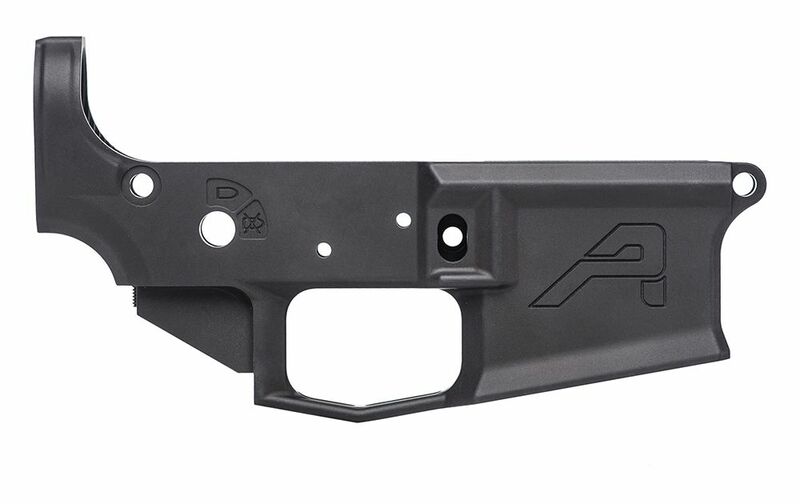 The M4E1 Lower Receiver delivers billet aesthetics in a forged package. This custom designed enhanced forging is machined from 7075-T6 Aluminum and compatible with all mil-spec AR-15 parts. Aside from the visual upgrades this custom engineered design provides that challenge much more expensive billet options, we have added several functional features to the lower receiver to simplify the assembly process for the at home builder. Upper Tension Screw - Allows users to fine-tune the fit of the upper and lower receiver using a nylon tipped tensioning set screw inserted in the grip tang of the lower receiver. 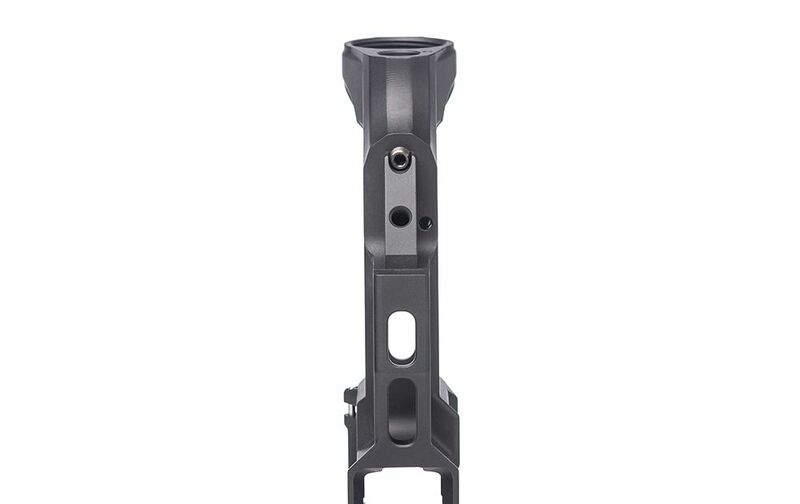 This provides a tight fit with any standard AR15 upper receiver. Threaded Takedown Pin Detent Recess - Allows the user to easily install the Takedown Pin detent and spring with the use of a 4-40 set screw (no more launching detents across the room).